Homilies and Occasional Thoughts: A Video on Pentecost? Really? The Psalm moved us from that historic and continuing miracle to a personal response. We begged the Lord to send the Spirit on the whole world, but also on us as we meditate and rejoice in the Lord. Then we heard part of St. Paul’s teaching on gifts. In this short passage, the Apostle uses three different Greek words to discuss the Spirit’s gifts. They get a bit lost in translation, but let’s take a look at each. Thirdly, St. Paul speaks of energemata. Recognize that one? Of course you do—it gives us our word energy. Translated as “activities.” these are gifts of works. St. Paul connects them with God the Father, the first cause of all things. Gifts of grace, gifts of service, and gifts of works. All from God, and all from baptism. Happily, in the divine plan not every Christian is given every gift or called to every work. Each has gifts, though, and each has a call. 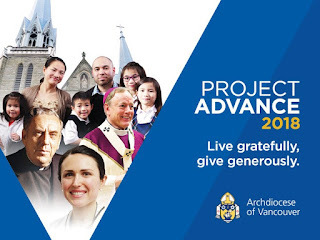 At first I was not happy when I realized we’d need to show the Project Advance video on this great feast day. We’ve had technical problems and the new video screens were not ready earlier; even now they’re only temporary. But the campaign is well-underway, and we couldn’t keep putting off the video, which this year is particularly good. However, when I thought about St. Paul’s teaching on gifts of service and gifts of works, I knew it was meant to be. Gifts don’t exist in a vacuum. They need to bear fruit, to accomplish their purpose. 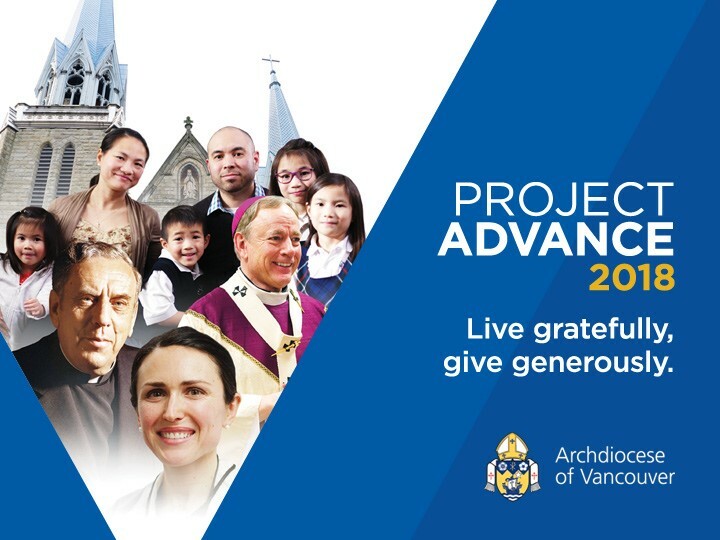 And in our parish and Archdiocese it’s Project Advance that makes these gifts make a difference.